An Earth lovvin’ app that resells clothing to keep its clients stylish and the environment healthy. Americans dispose of 12.9 million tons of clothing and textile materials a year – 70 pounds for the average American, according to a recent study done by the Environmental Protection Agency. While many try to donate or recycle their clothing, 85 percent still ends in landfills. With the advancement of technology, the production of cotton and other textiles has become more available and at a reduced price. Pairing this with the rise of internet popularity and online shopping, the fashion industry has boomed, the life of trends has become shorter, the mass-production of textiles has become greater and clothing has become cheaper, turning shopping into a means of entertainment where the celebrities display the brands who master fast fashion. The impact of fast fashion has allowed the industry to bloom while the planet has suffered under the tremendous weight of pollution. The use of cheap textiles and toxic dyes being burned and released in the atmosphere has contributed to global warming, allowing the fashion industry to become the second largest polluter, right under the agriculture industry. With the concept of fast fashion polluting the environment, it only took one fashion mogul’s passion for sustainability to begin to flip the script on the industry. “I started to learn about who made clothing. Usually, it is a young, female child who never had a chance for freedom or a voice the way I do. I also learned how wasteful fashion really is. I knew I had to do something about it,” said Alex Shadrow, CEO of Relovv. As a public relations student at Boston University, Shadrow took an avid interest in merging her two passions: fashion and saving the planet. 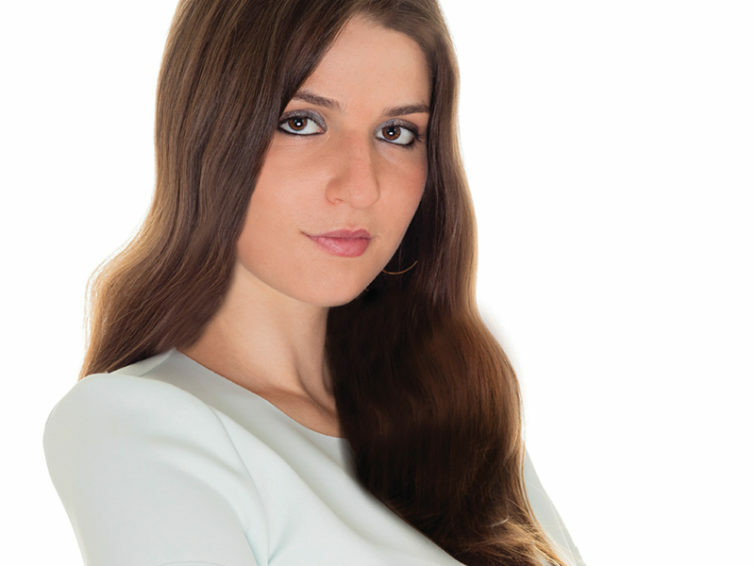 With drive and ambition, Alex created the small startup with a big mission: Relovv [re-love]: a sustainable fashion marketplace, available online and in-app, for buying and selling previously-loved items.Through her commitment to “conscious fashion,” she was recognized as the class of 2015’s “Face of Sustainability” while a student of Boston University, was awarded “Best New Venture” of 16,000 students and has been personally certified as a Climate Reality Leader by Al Gore. “Alex is an inspiration to women through her love of fashion and helping girls share their clothing with one another while making a big difference. When I heard Alex speak during the GW Women in Business Conference during my senior year, I was super inspired by not only the sustainability aspect but also by the mission to empower women,” said New York Regional Marketing Leader Kayla Lee. Want to involve yourself in the world of sustainable fashion? It’s simple. While sustainable fashion encompasses many different things such as eco-friendly brands and all natural textiles, an easier way of implementing it into your life is by buying second-hand. “Relovving” an item saves 500 gallons of water and reduces it’s eco-footprint by 73 percent, Relovv is working as the middle-man in facilitating sales that will prevent garments from ending up in our landfills or being discarded in ways harmful to the environment. 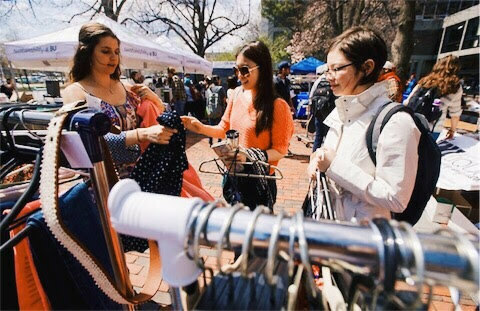 With the help of their college campus interns, Relovv also hosts pop-up shops where they sell donated clothing as well as educate consumers on the importance of neglecting fast fashion. “I studied business [BBA in entrepreneurship and innovation] so getting to work for an environmental startup has been so valuable to me in so many ways. 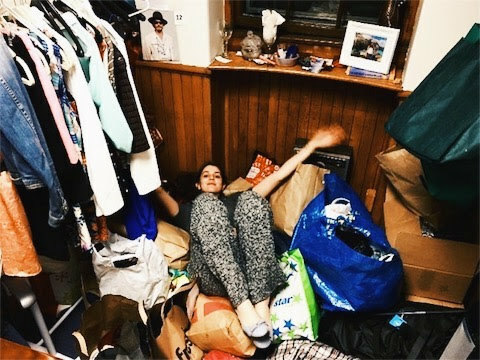 I feel like I am more conscious of my waste because I know how to be more savvy both with my expenses and what I use,” Lee said.